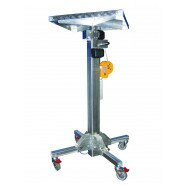 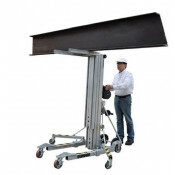 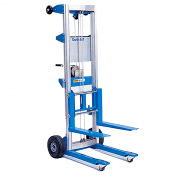 Material hoists are great lifting tool for a range of applications including heavy goods onto shelves, hoisting construction material, loading trucks, raising air conditioners while holding them in place for fixing and many other lifting jobs. 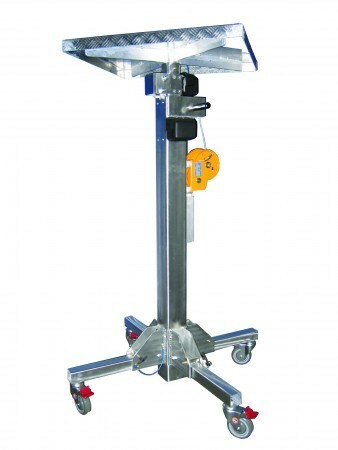 T bar hoists are popular for lifting air conditioners due to there sturdy platform and compact size. 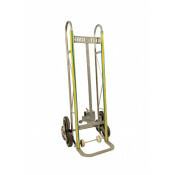 NOTE: Please ensure the travel lock is locked in place before loading or transporting this material hoist. 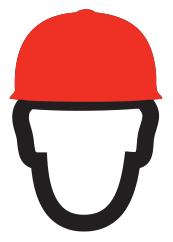 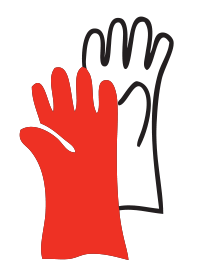 CAUTION: Do not approach within 4 metres of overhead low voltage power lines or other electrical hazards.